Standards: Interaction. Tools: Flash Cards, Games. Disciplines: Geography. Grades: 3-5, 6-8. Verbs: Choose, Identify, Practice, Select. 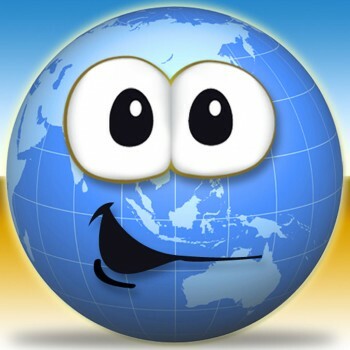 This app is very educational, this is a great game for kids and adults to help them learn about Geography. There is a lot of great information about different countries. This game is very creative using quiz questions on the Countries and then giving you a Country as a prize. Stacking part makes it a lot of fun for the kids.